Dr. Israel Amir, CenTrak’s Chief Technology Officer, was recently featured by TechNation as a real-time locating systems expert, among other vendors and end-users. The discussion centered on real-time locating systems, discussing the opportunities of RTLS and what that means for the future of healthcare. Dr. Israel Amir is responsible for new product introduction, system engineering, electronic hardware design, algorithms development, as well as mass manufacturing and intellectual property. 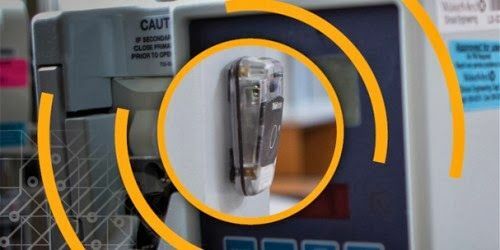 As CTO he has developed the fundamental approach to CenTrak’s RTLS system and is a main source to many of its innovative features. Prior to CenTrak, Dr. Amir was the Director of Research and Intellectual Property Strategy at Digital 5, Inc., where he managed the company’s patent activity and led successful forward-looking projects in networking technology, multimedia processing and security. Dr. Amir received his Bachelor’s from The Technion in Israel, his Master’s from Purdue University, and his PhD from Drexel University. Amir has authored numerous papers and has more than 30 patents, granted and pending.